The final report of President Obama’s Task Force on Climate Preparedness and Resilience includes 34 recommendations organized into seven primary themes, all which emphasize the nexus of Federal programs and executive actions with the actions of state, local, and tribal governments and their citizens. Water, energy and infrastructure are cross-cutting issues in many of the themes. Recommendations include climate planning efforts that not only prepare for climate effects, but also include mitigation approaches to reduce climate impacts in the future. Require consideration of climate-related risks and vulnerabilities as part of all Federal policies, practices, investments, and regulatory and other programs. Maximize opportunities to take actions that have dual-benefits of increasing community resilience and reducing greenhouse gas emissions. Strengthen coordination and partnerships among Federal agencies, and across State, local, and tribal jurisdictions and economic sectors. Provide actionable data and information on climate change impacts and related tools and assistance to support decision-making. Consult and cooperate with Tribes and indigenous communities on all aspects of Federal climate preparedness and resilience efforts, and encourage states and local communities to do the same. Take a look at the recommendations below, including how they apply to Salt Lake City. Accelerate the development of models and disseminate best practices for community resilience. Develop and encourage the adoption of resilience standards in the siting and design of buildings and infrastructure. Encourage and reward climate-smart land use management and development practices. Lead by example: The Federal Government should serve as a model for climate resilience in its investments, operations and programs. Salt Lake City is aggressively preparing for future climate challenges, to be a resilient community with a high quality of life due to our climate preparedness activities. Our efforts will ensure future clean and sufficient water supplies, investment in renewable, clean energy systems, and alternative transportation systems. These investments will not only make Salt Lake City more resilient; they will also improve our citizens’ health through improved air quality and a more walkable community. We have been fortunate to partner with Western Water Assessment, part of the NOAA Regional Integrated Science Assessment Program, to conduct climate vulnerability work. This partnership has leveraged our access to actionable data and tools to support climate adaptation decision-making. This is a good example of federal support being used to help local communities prepare for climate change impacts. Support climate resilience as part of coastal infrastructure planning and investments. Promote and prioritize the use of green and natural infrastructure. Support and incentivize climate resilient water resource planning and management. Integrate climate resilience planning and preparedness criteria throughout existing Federal transportation funding programs. Support Property Assessed Clean Energy programs. Support development of a clean and resilient energy grid. Salt Lake City will benefit from these recommendations as it is proposed to require grant programs to address potential climate impacts as projects are reviewed. It is also recommended that the Federal Government finalize its guidelines on climate impacts and carbon emissions in NEPA evaluations, which will provide better long-term considerations of public health, safety, and financial risks for communities. This will especially help our regional transportation and watershed planning efforts. Restore and conserve ecosystems and lands to build resilience in a changing climate. Combat the spread of invasive species, pests, and diseases. Support resilience planning for ocean and coastal ecosystems. Promote integrated watershed management and planning to protect water quality and quantity. Enhance the scientific understanding of climate impacts on natural resources and provide technical assistance to help communities reduce adverse climate impacts. Salt Lake City: Specific actions that will support Salt Lake City include the development of regional modeling initiatives to provide information to adapt to climate change impacts on water quantity and quality; and the development of a national, integrated water strategy that focuses on watershed protection and water conservation. Our Mountain Accord process is an excellent example of how climate issues can be integrated into long-term integrated decision-making processes that encompass natural systems, land use, and transportation. Future preservation and development actions are evaluated and determined with a climate resiliency lens, and Federal support on how to measure climate resilience will be invaluable. 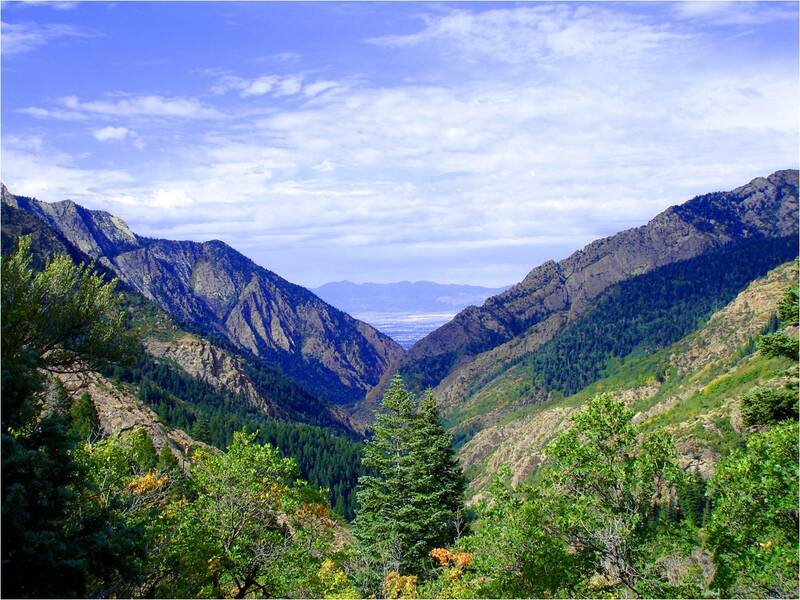 Federal recommendations also include forest health planning at the State and regional level, which will directly benefit the Wasatch watersheds. Address the needs of vulnerable populations, especially those already facing economic or health-related challenges. Improve capacity to protect public health. Assist communities in building food system security. Improve disaster preparedness for communities most at-risk. Explore Federal role in addressing climate change-related displacement, needs of affected communities, and institutional barriers to community relocation. Salt Lake City will look to receive resources and incentives to support clean water, air, and local, healthy foods. The Federal Government is also recommending additional pre-disaster training on Federal response and recovery programs for elected officials and community leaders which would enhance our current emergency planning efforts. Build a stronger culture of partnership and service to communities impacted by disaster. Remove barriers to rebuilding for future climate resilience. Incentivize and fund Community Resilience Plans with a holistic approach to preparedness and recovery. Modernize data collection, analysis, and mapping based on current and predicted climate impacts to help improve local capacity for effective hazard mitigation planning. Modernize and elevate the importance of hazard mitigation programs. Strengthen the National Flood Insurance Program to prevent development that increases exposure and losses to flooding, and eliminate inequities for urban and rural locations. While Salt Lake City is fortunate that we have yet to have a major climate-related disaster, continual planning will reduce risks to our citizens and minimize the costs of recovery when a severe weather event does occur. Having access to updated information from our Federal partners such as flood hazard maps, wildfire risk and erosion hazards will be essential to our resilience efforts. Promote private sector and workforce resilience to reduce economic disruptions associated with the impacts of climate change. Reward resilient investments and consider the benefits of ecosystem services in cost-benefit analysis. Safeguard places of national, economic, and historical significance. Collaborate with the insurance industry. Salt Lake City: Applying the true economic costs of future climate risks will be essential as we make future decisions. One example of this is our work with the State of Utah and regional energy providers to evaluate appropriate costs and account for benefits of renewable energy. We need to consider long-term economic, environmental and societal benefits of these investments, not simply short-term decisions that often undervalue climate resilient strategies. And as we move forward with our regional climate preparedness efforts, input from business leaders and representatives from professional organizations will be vital. Provide data, tools, and guidance at a scale sufficient to guide decision-making and investments. Foster and support cross-jurisdictional and regional cooperation. Create a Climate Resilience Corps to boost community capacity. Increase climate literacy and public awareness. Salt Lake City: Education is needed to clearly link how the climate is changing and how it will impact the lives of our citizens. Having more centralized data will help both Salt Lake City and our residents identify climate risks and support community resilience planning.